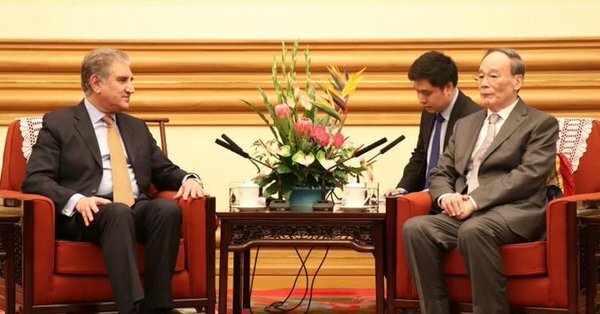 BEIJING, March 19 (APP):Foreign Minister Shah Mahmood Qureshi called on Chinese Vice President Wang Qishan on Tuesday and briefed him on the progress in development of China-Pakistan Economic Corridor (CPEC). Shah Mahmood Qureshi said Prime Minister of Pakistan was looking forward to visit them during the next month to attend the 2nd Belt and Road Forum. thanked China for playing an important role in easing of tensions with India. will greatly contribute to socio-economic development of Pakistan.